“I believe it is a special gift from God,” he says of his skills as an orator. Kigasung concludes with how he finds the job as leader of all Lutherans in PNG as well as his future. In life, Rudy Rudolf Kahata touched the lives of many hundreds of people as a pastor and radio evangelist. His death on Wednesday, February 8,2006, perhaps, touched even more people and inspired many more young people from the Ahi villages of Lae to follow in his footsteps. This was evident by the hundreds of people who attended his funeral service at the St Andrew’s Lutheran Church at Ampo in Lae on Saturday, February 11, 2006, and then burial at his nearby Hengali village. Tears fell freely for most, a moment they shall never forget, as they joined together as one to sing their former pastor’s favorite hymns. It was – suffice to say – a funeral befitting that of royalty. Pastor Rudy’s vibrant and powerful preaching brought new life to the Evangelical Lutheran Church of PNG in his short life of 35 years. He was respected by the church hierarchy, the Martin Luther Seminary where he was groomed, and most of all – the church followers – as someone with great potential as a preacher and leader. Even the ELCPNG’s charismatic leader Dr Wesley Kigasung, who helped to groom up Pastor Rudy at seminary, often remarked that he could see a successor in this dynamic young man. From 2002 up to 2005, while serving at the St Andrew’s Lutheran Church at Ampo in Lae, Pastor Rudy brought new life and animation into services. The results were phenomenal, with more young people living on the fringes suddenly attending church services. Pastor Rudy fearlessly ministered the Word of God – through walking and even by bicycle – to the Ahi villages of Butibam, Hengali, Kamkumung, Wagang, Yanga and the many surrounding settlements. Young people living in these urban villages and settlements, often notorious for crime, found someone they could turn to in Pastor Rudy. But while Pastor Rudy found a following amongst the young people, that was not the case with the entrenched and conservative church hierarchy at St Andrew’s, who opposed him on many things, culminating in his leaving. as former pastor were not even acknowledged. But Pastor Rudy, being what he is, quietly took it all in his stride. Last July, he took up his new ministry with In-Touch Media in Lae as radio evangelist for local radio station, FM Morobe. Over the last few months, until his untimely death, Pastor Rudy developed a huge following wherever in Morobe Province the radio station reached. His Sunday ministry crossed the boundaries of all denominations as he invited them on air to preach the Word of God in the city of Lae and the province of Morobe. In the words of Lady Nohoranie Bogan, general manager of In-Touch Media, “we were grooming him up to become the most-powerful radio evangelist in Papua New Guinea”. Pastor Rudy’s leadership so impressed the management of In-Touch Media that just two weeks before his death, he was promoted to become manager of its other arm, Powerhouse Records. Pastor Rudy, who was married to wife Joyce and had four young children – Albert, Alex, Shane and Salome - was eagerly looking forward to asserting himself in his new job as manager of Powerhouse Records. All these hopes and dreams, however, were not to be when he suffered a suspected heart attack while dropping off staff in Lae on the night of Wednesday, February 9. Rudy Rudolph Kahata was born on May 3, 1970, at Angau Memorial Hospital in Lae to mother Salome of Butibam village and father Jason of neighbouring Hengali. He was baptised at St Andrew’s Lutheran Church on May 14, 1970. He attended Minj Primary School in the Western Highlands from 1978 to 1979, and then Amba Demonstration School in Lae from 1980 to 1983. This was followed by four years at Busu Provincial High School in Lae from 1984 to 1987. It was in 1984 that he received his Confirmation blessing at St Andrew’s Lutheran Church. From 1994 to 1995, he worked at Lae Technical College as an accounts officer, however, he had a calling from God and took up studies at the Martin Luther Seminary from 1996 to 2001 and graduated with a Diploma in Theology. Pastor Rudy touched the lives of so many people in so many years. I remember that time in November 2000 when my wife gave birth to our first son at the Goroka Base Hospital. The then Vicar Rudy was working at the St John’s Lutheran Church in Goroka. He visited us at the hospital, held the head of the baby, and prayed. Vicar Rudy would have baptised my son had he not had to prematurely leave Goroka before the end of his tenure at St John’s. To make up for this, I later asked the now Pastor Rudy in Lae if he would baptise my second son and daughter, and he was more than willing to oblige. Sadly, that will not be now. I last met Pastor Rudy at the rededication of the St Andrew’s Lutheran Church at Ampo last October where we discussed a few things regarding the church and his career, and then a week later at the 2005 Morobe Show. His life, while short, was a blessing to all those who came to know him and will be an inspiration to many young people to take up the ministry in these challenging times. Last Sunday, FM Morobe hosted a special tribute to Pastor Rudy on air, in which his co-worker Loujaya Toni mentioned the appropriateness of the poem Footprints during this sad time. This poem is dedicated to the family, friends and many people whose lives have been touched by the late Rudy Kahata, as we mourn his death. and one to the Lord. For Australian visitors Catherine and Peter Cavouras and their three children, a visit to Catherine’s mother’s village meant confronting many new and exciting experiences. Picture shows Peter and Catherine Cavouras, their two sons, and a relative at Iruupi village, Western Province. Daughter Giwe is missing from this picture. Catherine, born in Papua New Guinea, had last visited in 1985, some 20 years ago, so village life was a distant memory. Having flown to Daru from Port Moresby on Wednesday, July 6, the family was met at the airstrip, walked a kilometre or so to the house of the principal of Daru High School, and then prepared to make a crossing back to the mainland on a 21-foot fiberglass dinghy. Despite the short crossing, with a heavily-laden boat it can be quite treacherous during July when winds make for heavy seas. Finally, it reached the landing point Lani, the mangroves and palms along the muddy riverbanks giving way to grassland and a few of the ubiquitous gardens that would later become evident. A welcoming party was there to assist with all the luggage; bags, water bottles, provisions and the like, some 250kg worth all transported, you guessed it, by foot on the narrow marsh road to Iruupi village. A short walk by village standards, some 5-6km, weaved through overgrown grasses, bamboo forests, swamps, marshes, and surprisingly, many eucalypts. Traversing a waist-deep small swamp revealed the first sighting of traditional Papua New Guinea houses – bamboo constructions on the outskirts of the village, supported by poles with an under storey platform where inhabitants can gather away from the heat of the day, each distinctively different in those erected in other provinces through Papua New Guinea. Upstairs were verandahs, bedrooms and a traditional kitchen – the timber strutted floors covered with woven mats to maximise comfort (in Daru, many of the more ‘westernised’ pre-fabricated houses still have a traditional bamboo kitchen erected at the rear). The visitors’ accommodation – a little removed from the village – overlooked an extensive lagoon that all but disappeared in the dry season. Open and unshielded by large trees, it provided a cooler oasis-like setting, unlike the main village where the air was still. In the main village, houses were erected around the periphery, enabling the central areas to be used as common meeting, play and performance areas. It was hard to adapt to village life where family did all the hunting, cooking, washing and other chores, leaving the visitors idle to simply enjoy the surroundings. Where villages tended to their gardens each day, rich with taro, bananas, greens, melons, pineapple and other fruits planted for harvesting in the dry season, the Cavouras family generally roamed the landscape. Skilled hunters meant there was a ready supply of deer, wild pig and wallaby, cassowaries proving elusive during the visit. These would be brought back to the village strung over bamboo poles, while hunting implements were carried in a free hand. Exotic foods, such as scones or damper at breakfast and deer or wallaby soup with kaukau (sweet potato) or taro, made for a diverse and nutritious menu. Fresh water was another issue, the local brew resembling oil or tea, so the Cavouras family had to persist with bottled spring water. Another short walk – about an hour and a half – to Kupilute provided a source of cleaner water that could be drunk with some degree of confidence. When diving for fish, prawns or lobster in the lagoon, locals skirted the edges, fearful of an encounter with Sapi-dade, a dreaming spirit. Paying homage to the spirits in the appropriate way ensured there was a plentiful supply of seafood. In an early visit as an 11-year-old, Peter Cavouras’ brother-in-law Samia, had a subsequent dream in which he envisioned having five “red skin” or albino children in the mould of the original Bewani. He has since had two and expects three more, knowing full well their kin will in turn be ‘black’. Yet another walk to a place called Imbade revealed a broad and pristine river that must be crossed in a dugout canoe or outrigger to reach the village of Masingara, home of warring tribes and family of the Badu-suki tribe of Iruupi village, some 2-3 hours away. Most nights are filled with exotic and traditional dance in preparation for an upcoming event, and to mark the presence of family from distant shores – visitors adorned with handmade grass skirts, cassowary feathers and armed with bamboo clapsticks or bows, depending on the dance. Back at the house, pointing the torch to the lagoon beyond the washhouse revealed the red eyes of a crocodile, each night keeping watch over the visitors. Each and every person is proud of and well-schooled in their culture and identity, benefiting from an almost unspoiled existence with limited contact with the white people, in contrast to some of the major centres where the negative effects of colonization and decolonization, subsequent to Independence, can be observed. In leaving the village for the long walk to Lani, through a procession of well-wishers and tearful souls, Iruupi shed its tears, the heavens opening up. At Lani, it was last goodbyes, the sun poking through and the promise of a return in the future to renew special bonds, as the dinghy headed for the open sea, the family having been privy to a once-in-a-lifetime experience. The late Cecil Abel (later to become Sir) was one of the many unsung heroes of the infamous Bully Beef Club, Pangu Pati and Independence in 1975. Sir Cecil (KBE, OBE, DipAnth), who died on June 26, 1994, aged 91, was a son of the famous pioneering London Missionary Society (LMS) missionary Charles Abel of Kwato Island, Milne Bay Province, and was one of those who “stimulated” the minds of members of the Bully Beef Club and Pangu Pati – paving the way for Independence. He was born on February 1, 1903, on Kwato Island. 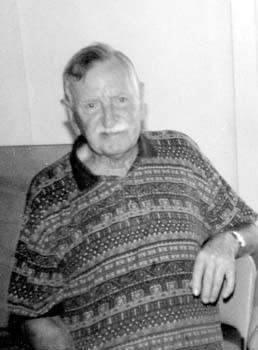 Cecil Abel did his primary schooling on Kwato; high school at North Shore Grammar School in Sydney, Australia; and university at Cambridge in England. 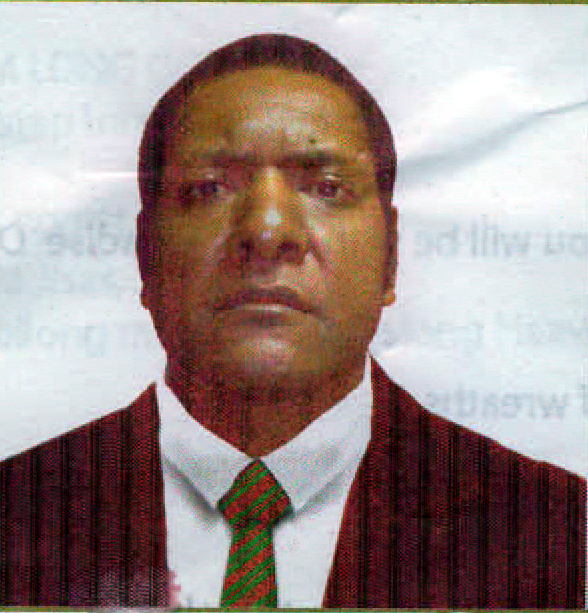 He returned to Kwato and was asked by Administrator Sir Hubert Murray to teach political science at the Administrative College in Port Moresby. Little did Sir Hubert know that the idea of home rule – independence – would be contemplated right under his nose by Cecil Abel and the Bully Beef Club. He was a member of the second House of Assembly from 1968 to 1972. Movement to subsistence to cash economy. In 1966, a young man named Michael Somare came to the Administrative College in Port Moresby for studies, met many like-minded men and together they began to plan the future of the country. Albert Maori Kiki was in his second year at the college, while Joseph Nombri, Sinaka Goava, Gavera Rea, Jack Karakuru, Cromwell Burau, Bill Warren and Lukas Waka were among the students. Ebia Olewale was president of the Students’ Representative Council at Port Moresby Teachers’ College. “We talked politics all the time,” recalled Somare (now Sir Michael) in his autobiography Sana. “Our teachers encouraged us to take a lively interest in current affairs and to freely discuss the political and economic future of our country. “We had some outstanding teachers to whom all of us owe a great deal. “David Chenoweth was the principal. “Tos Barnett, who is now my chief legal advisor in the office of chief minister, Cecil Abel and Ted Wolfers were among those who stimulated our minds. “I was delighted when Albert Maori Kiki was elected president of the Students’ Representative Council. At night, the group would meet at Kiki’s house in Hohola, and thus was formed the Bully Beef Club. On June 13, 1967, the Pangu Pati was founded with the support of nine members of the House of Assembly: Paul Lapun, Pita Lus, Nicholas Brokham, Wegra Kenu, Paliau Moloat, Barry Holloway, Tony Voutas, Siwi Kurondo and James Meangarum. The founding members, in addition to the nine members of the House of Assembly, were: Cecil Abel, Albert Maori Kiki, Joseph Karl Nombri, Elliot Elijah, Sinaka Goava, Ilimo Batton, Reuben Taureka, Kamona Walo, Cromwell Burau, Oala Oala-Rarua, Gerai Asiba, Ebia Olewale, Pen Anakapu, Epel Tito, Basil Koe, Gavera Rea, Vin Tobaining, Thomas Tobunbun and Michael Somare. A little later two more members of the House of Assembly – John Guise and Edric Eupu – joined the parliamentary wing of Pangu. “The moment the party was formed,” reflected Somare, “I knew that I would have to give up my career as a civil servant. Cecil Abel was one of those who laid the groundwork for the Bully Beef Club, the Pangu Pati, and lived to see Papua New Guinea gain independence from Australia on September 16, 1975. He was awarded an OBE for services to politics and Papua New Guinea at the age of 72 and at aged 79 was awarded his Knighthood. The late Sir Tei Abal, Leader of the Opposition at Independence in 1975, carried the Highlands traditions of fight and moga into the 20th century political arena without any difficulties. During the colonial administration when he was a Ministerial Member, he tried to delay early Independence because he felt his Highlands compatriots were not ready. Sir Tei virtually became a Highlands hero. Essentially a traditional leader, he found his destiny when he saw the similarities at home and the political system introduced by Australia. When he first arrived in Port Moresby as a member of the Legislative Assembly in 1964, he was out of his depth, having no formal education. Matter of factly, he used to describe how his first real knowledge of the job of a politician came from a week’s training in parliamentary procedures. But by the time he was visiting African countries in 1968, he had a pretty firm idea of what was expected of a politician. Sir Tei fought for the Westminster system of government to be introduced in Papua New Guinea because it had so many similarities to traditional PNG life. “The moga talks are much the same as meetings of Parliament,” he once said. “One man wants to kill his pig now, and another wants to kill his pig a week from now. Sir Tei was the face of the Enga people until the time of his death. At the same time, he was a man with a mandate rather than a mission. A good Christian, nonetheless Sir Tei began his political career by being nominated in his absence. He was a well-known medical assistant in the Wabag area, on patrol with his boss, when he was nominated and his nomination fee paid before nominations closed for the 1964 elections. Sir Tei had heard the kiap talk about the elections and several people had urged him to stand, but he had nothing about it as he was not really sure what it was all about. He won his seat unopposed, replacing Kibungi, who had represented Enga in the previous Legislative Council. Since then, Sir Tei was returned to Parliament virtually unopposed in every election. He was leader of the United Party until young guns such as Iambakey Okuk (Chimbu) and Raphael Doa (Western Highlands) started leading a campaign against him and his star started to wane. Intra-party squabbling in the Opposition United Party started soon after Sir Tei gained the leadership when Mathias Toliman died in 1973. An interpreter who later became an aid-post orderly, he never had any formal education. On record, he made it clear that he felt “a more capable man” should lead the party. However, what seemed to hold him back was the fear that once he was gone, the United Party could become the staging point for disunity and instability – which have proven to be prophetic words. The Abal legacy continues in the current Parliament with Sir Tei’s son Sam Abal being the current Wabag MP. 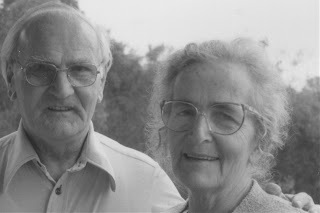 His name is Thomas Shacklady (pictured above, left), who died of a stroke early Wednesday January 25, 2006, in his home in Sydney, Australia at the age of 88. He is remembered by many Papua New Guineans as the legendary bandmaster of the great Royal Royal Papua New Guinea Constabulary Band from 1964 to 1982. "His name is embedded in Papua New Guinea's history, " said Prime Minister Sir Michael Somare. He received regular visits from his son Paul, with his three children Zoe, Katie and Suzie, when he visitsed Brisbane, and from Noel and his two children, David and Justine, who also live in Brisbane. Port Moresby - Papua New Guinea's capital city – is fast becoming a rapidly growing urban jungle. Many children who grow up in the city do not know, or perhaps never will know, of that flora and fauna that is so prolific all over our beautiful country. But there is a temporary reprieve. The National Capital Botanical Gardens can rightly be called Port Moresby’s “Garden of Eden”. The gardens, since being taken over by the National Capital District Commission in 1993, have become one of the prime tourist attractions in the city. Moreover, for caged-in city residents, they offer an oasis of peace and beauty amidst all the pressures. The gardens also play a very important role in nature and conservation education as well as distribution of trees and flowers in the capital city. Situated within the University of Papua New Guinea (UPNG) campus in Port Moresby, the gardens were established in 1971 by renowned gardener Andre Millar. They were initially established as a teaching garden for the UPNG Biology Department and also as a nursery to supply plants for the university grounds. When Mrs Millar left in the late 1970s, the gardens experienced problems with management and funding and eventually declined from a beautiful garden to a desolate piece of bush land. When the NCDC took over the assets of the gardens in 1993 through the new curator Justin Tkatchenko, it established a major redevelopment programme. Another expatriate Wolfgang Bandisch ran the gardens until his departure from the country last year. 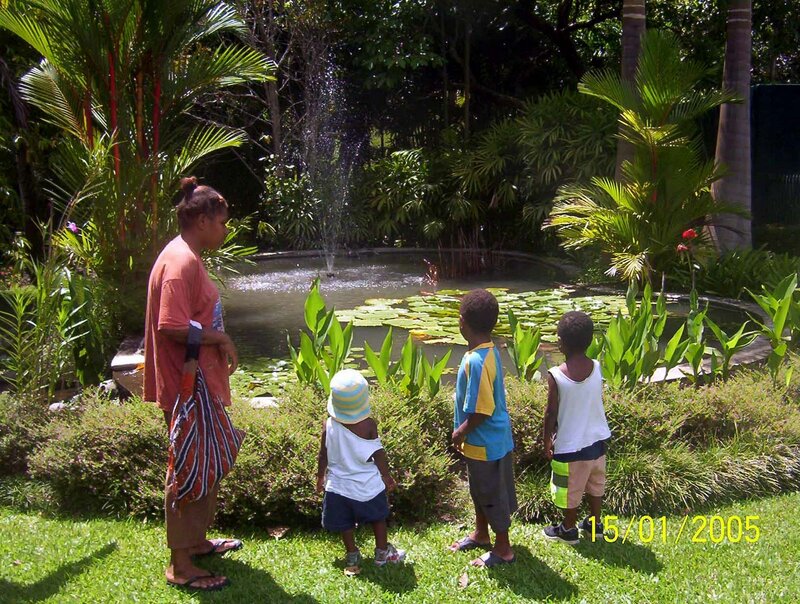 The gardens today - under current acting general manager Judith Raka - have a huge collection of plants from all over PNG as well as other parts of the world. These include palm species, bamboos, heliconias, cordyline, pandanus, native trees and shrubs. The gardens are well known for their extensive collection of PNG orchid species housed in large greenhouses. They have large orchid houses for orchid hybrids producing cut flowers for the flower shop. 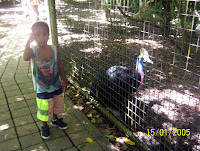 There are a number of animals on display, like tree climbing kangaroos, gouria pigeons, birds of paradise, cockatoos, lorikeets, parrots and many other birds. One of the new tenants is a strange looking tree kangaroo, hailing from the Sepik, which has a very long tail. An orchid research centre was established some years ago. It includes a small herbarium and a fully equipped ochid tissue culture laboratory where thousands of orchid plants are produced annually from seed and tissue cuIture. 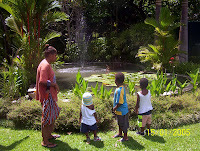 Thee gardens' collection of flora and fauna is the only place in the city that offers educational attractions and an -depth view and appreciation of what PNG has to offer. They provide valuable scientific and environmental education for school children. A typical guided tour begins with the snake house, the palm collection, birds and animal collection, the mini rainforest, the timber tree collection, the vanilla collection, the orchid nursery and its collection and finally to the insect collection. 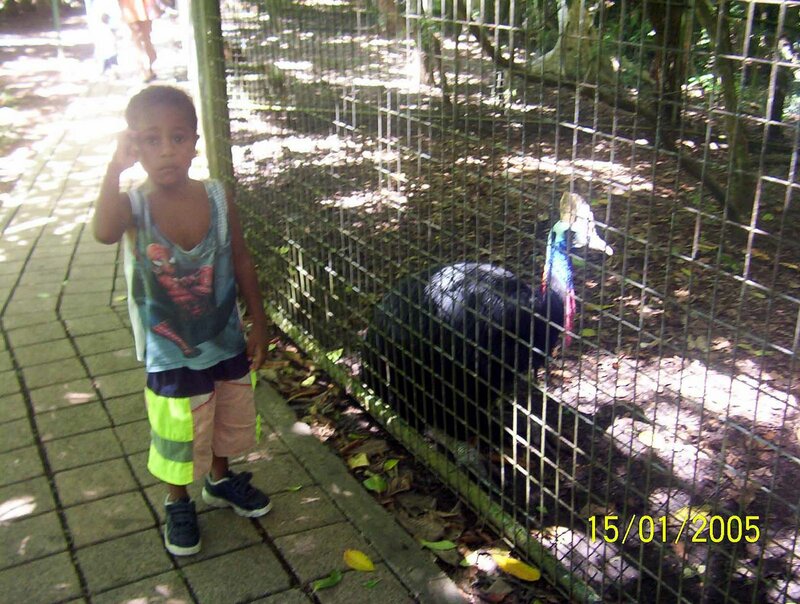 The tours help instill in children a responsible attitude towards the environment and help them learn and appreciate the remarkable natural beauty of PNG. "It's good for parents to bring their children here, especially those who don't go back to their villages," says scientific and education officer Linda Pohai. "The school children can really learn a lot." One of the exciting projects the garden has embarked on with the Forest Industry Association, Rotary Club and the Department of Environment and Conservation is a school nursery project. “It’s about a national school nursery project,” Ms Pohai explains. “It’s mainly about planting trees. “What we do is we have a nursery here funded by all these organisations. “We facilitate workshops for teachers on how to grow trees and build a nursery. “Once they build a nursery, they can come and pick up trees. “We’ve done it for the whole year last year, with a lot of schools from NCD attending. “There are two schools that have already collected their trees - that’s Ward Strip and St Therese Primary School at Badili. “The trees that we grow are mainly useful trees like medicinal trees, fruit trees and trees that can provide shade or firewood to the community. Apart from flora and fauna, there are recreational areas where barbeques, weddings and other functions can be held. James Chalmers was the so-called “Livingstone of New Guinea”. He was a star in the London Missionary Society’s firmament. For 34 years from the 1860s onwards he preached the Gospel in the South Seas. He also loved whisky, enjoyed exploring the unknown territory and had a genuine rapport with the Papuan people. But not even this charisma and courage could save him when late in his career he and his party were lured into an ambush on Goaribari Island. They were beheaded and eaten by the natives. It is the Goaribari incident that lies at the heart of Peter Maiden’s extraordinary history of what was then British New Guinea. This is a history that proves that fact is indeed stranger than fiction. Sorcery, magic, head-hunting and cannibalism were rife. To possess a skull collection was to enhance one’s standing in the spirit world. In 1901, on Goaribari Island alone, a missionary, Harry Dauncey, found about 10,000 skulls in the island’s Long Houses. The second half of Maiden’s history focuses on the career and tragic end of the very first Australian-born governor of British New Guinea, the Brisbane solicitor Christopher Robinson. He arrived in BNG in May 1903 and soon afterwards witnessed a savage conflict between the native constabulary and Papuan warriors. In March 1904, Governor Robinson committed a catastrophic error in the Goaribari Affray. 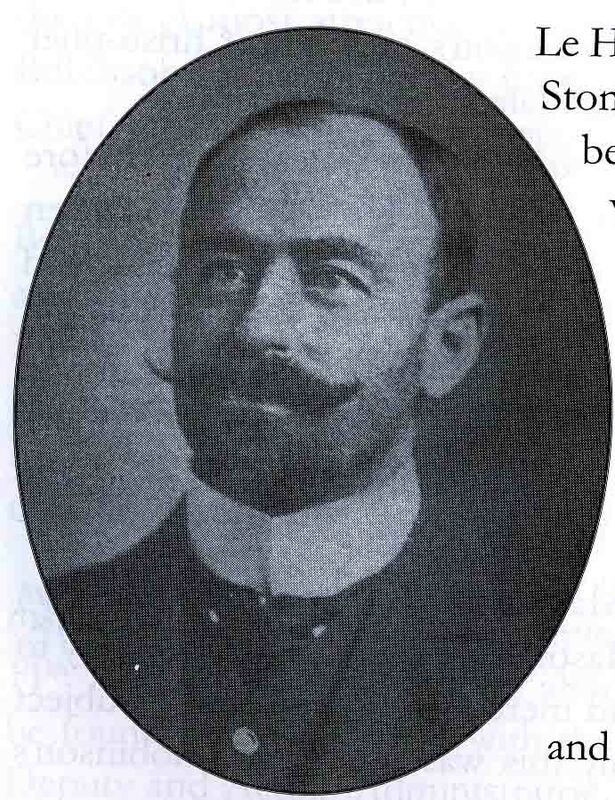 June 9th, 1903, was a proud day for Queenslanders in general, but most particularly for the people of Brisbane, for that day the Australian Prime Minister, Edmund Barton, had appointed a local man, 30-year-old Christopher Robinson, as acting-governor of British New Guinea (BNG). Robinson spent practically all his life in Brisbane, settling here as a five-year-old boy, after his father became rector of All Saints, Brisbane in 1878. Christopher was educated in Brisbane, and then articled to T. W. Daly, a Brisbane solicitor. 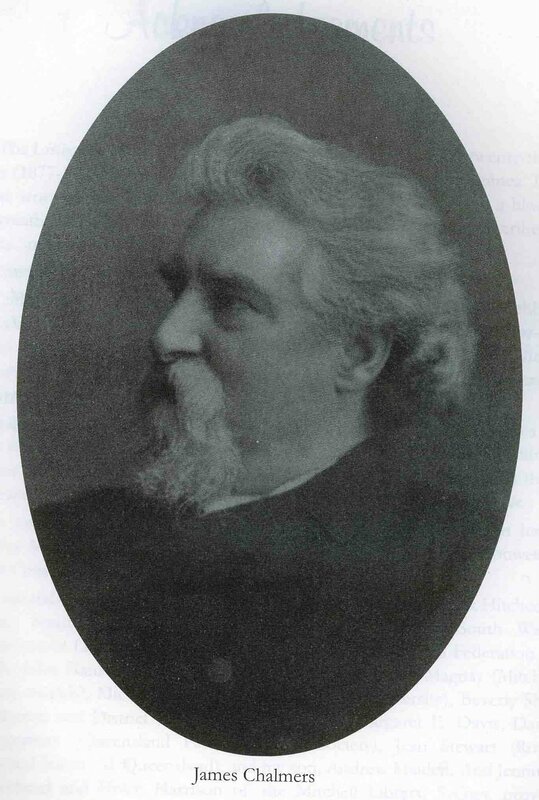 A clever student, Robinson graduated top of his year and was admitted as a solicitor in 1895. He practiced law briefly on the Etheridge and Croydon goldfields, before returning to Brisbane where he took up a private practice in 1898. He was a handsome and highly presentable bachelor and the first Australian born governor of BNG. However, it was a difficult assignment and despite his legal skills Robinson was quite inexperienced. For this shortcoming he was to pay a terrible price. In 1903, Britain was in the process of passing control of BNG to the Australian government and the colony’s administrators, operating on a shoestring budget, faced fearful difficulties. Sorcery, cannibalism and headhunting were endemic in Papuan society. Sorcery was a criminal offence but still it flourished. Its practitioners “spoke” directly to the Spirit World and could simply frighten a Papuan to death. A sorcerer had only to tap his victim on the shoulder, tell him he would soon die and within a week the unfortunate native would be in his grave. And these magicians seemed omnipotent. In 1903, for instance, a disgruntled sorcerer in eastern New Guinea announced that within three days he was turning every man in the village into a woman, and every woman into a man. 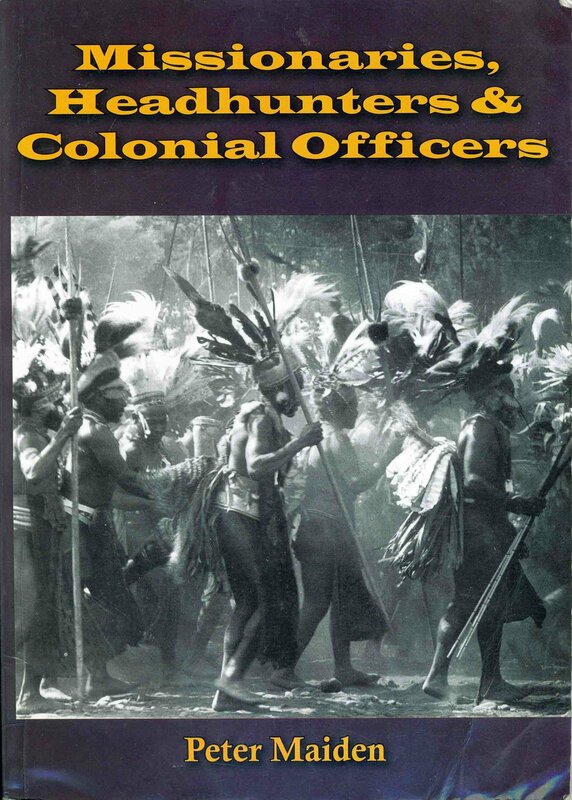 The men were panic stricken, New Guinea being such a male dominated society, but, as the investigating white magistrate observed, “the women viewed the threat with supreme complacency”. In 1901, on Goaribari Island in the Gulf of Papua, a missionary, Harry Dauncey, found 10,000 skulls in the island’s Long Houses. Even as late as 1957, Australian government officials on one occasion confiscated 78 skulls on Papua’s Casuarina Coast. Fortunately, cannibalism was not quite as widely practiced. As one writer, Wilfred Beaver, pointed out, “the population would eventually be reduced to small proportions”, if everybody was a cannibal. The weakest tribes were most vulnerable. West of Port Moresby the Mohohai tribe, according to Beaver, was regarded as “a kind of larder” for the predatory Ukiaravi warriors. Elsewhere, the Scottish missionary, James Chalmers, newly arrived at Suau in 1878, was pleased to be invited to his first tribal feast – before learning that a terrified young boy was on the menu. Chalmers, the so-called “Livingstone of New Guinea” was a star in the London Missionary Society’s firmament. For 34 years he served in the South Seas islands as a near-perfect example of “muscular Christianity”. Chalmers was a physically impressive man with a commanding presence and he possessed a cool head in a dangerous situation. He liked whisky, loved exploring the magnificent countryside and had a genuine, albeit paternal affection for the Papuan people. But for a white man, life in New Guinea was anything but a sinecure. ‘If a man escaped dying of fever in the first three weeks he was eaten by cannibals within the fourth week’, wrote Wilfred Beaver. And if that wasn’t bad enough, even the humble toothache could be a major problem. Murder and massacres were commonplace. In 1900 a single government patrol led by the ex-Queensland policeman, turned magistrate, William Armit, killed at least 54 natives on the Upper Kumusi River. On another patrol, magistrate Allan Walsh’s men disposed of 32 more Papuans in 1902, and in 1903, Whitmore ‘Old Shoot and Loot’ Monckton, a highly regarded magistrate, allowed his constables to kill 18 Paiwa natives. Of course, the Papuan warriors, too, were aggressive. Numerous lonely miners and missionaries met with a grisly end, most notably in 1901 when the Reverend Chalmers’ party of 12 was lured into an ambush on Goaribari Island. There they were beheaded and eaten by natives. This atrocity demanded revenge and more than 20 Goaribaris were killed in a government reprisal raid. Soon after arriving in BNG, Christopher Robinson joined a government patrol along the Yodda River and saw at first hand the savage conflict between the native constabulary and Papuan warriors. This patrol appears to have soured Robinson’s attitude towards the Papuans. Afterwards, Robinson seemed to show little sympathy to the indigenous population. He once declared that he had “an intense loathing” for these “inhuman creatures”. He had no friends among the colourful Port Moresby expatriates and he was overwhelmed by a monumental backlog of work. Robinson was capable and one local identity described him as ‘one of the most promising officers New Guinea ever possessed’. Others, though, believed he was arrogant, and even frightened by the very people he was supposed to be protecting. In March 1904 Robinson led a strongly armed commando to Goaribari, intent on arresting those responsible for the Chalmers’ missionary massacre. Unfortunately his serious mismanagement of a confrontation with the Goaribaris became the subject of a sensational Royal Commission in Sydney in July. While the native bowmen fired only a handful of arrows in anger, Robinson’s men replied with a murderous fusillade of 250 rounds. At least eight natives were shot dead and two European witnesses testified that the governor had shot at least three of the Papuans. Robinson’s career prospects were in tatters. The lonely young governor, now afflicted with a severe bout of malaria lost heart and fell into a mood of deep depression that worsened as the date of the Royal commission approached. Finally, on June 20th, 1904, Robinson took his own life under the flagpole at government house, Port Moresby. This is a history that makes the clash of the proselytising white colonials with the Papuan warriors come vividly alive. It is a story of dedication and courage, but also a story of tragic failure. A riveting read. 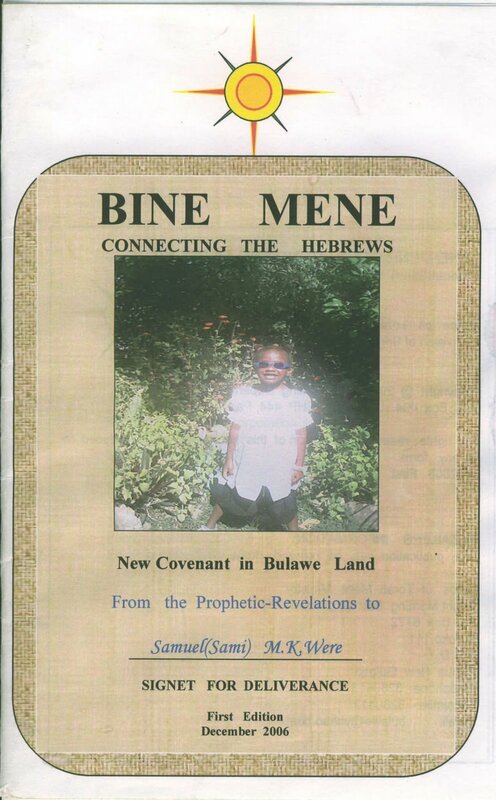 A book – launched by Governor-General Sir Paulias Matane on Thursday, February 1, 2007 – claims the Bine tribe of the Western Province of Papua New Guinea is related to the Hebrew race of Israel. Author Samuel Were provides no sound anthropological, archaeological, linguistic or academic evidence to support his claim, however, draws on the oral traditions of his people as well as his spiritual experiences as the basis for the book Bine Mene: Connecting the Hebrews. The book adds to a common belief among Western Province villagers, particularly of the South Fly, that they are related to the Hebrews. The 28-page book is also an experiment in self-publishing, given that Were wrote and did the page layout himself, with Star Printers printing the cover and Summer Institute of Linguistics printing the inside pages. Were, a petroleum geoscientist who graduated from the University of Papua New Guinea, also relies greatly on the Bible to support his claim. He compares the similarities between Bine and Hebrew words for different subjects, people and places. For example, Adam (mankind) in Hebrew is Ada in Bine; Eve (living community) is Ewe; galeed (father-in-law, son-in-law) is Galiame; Immanuel (God is with us) is Inama; Joseph (may he give me) is yo seba aa; Judah (praise) is alajuta; Manasseh (being present) is Mana agesate; and many others. The book is a product of cumulative recording and compilation of events, episodes and research by the writer starting in 1972 with the arrival of translators from the Summer Institute of Linguistics to his Western Province village of Kunini. The translators were assisted by his father, the Reverend Kibani Were, and that led to the completion of the Bine New Testament Bible and Bine Hymn Book. 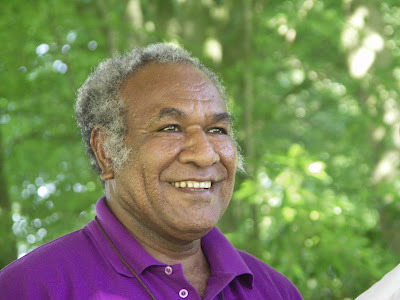 Were claims he had a divine dream and vision in 1984 while attending Aiyura National High School, regarding what he calls “remnant Hebrew people in PNG”. He says he acquired a great deal of oral history from his grandparents and his father as a teenager that his Bliutope (Hornbill) Clan were people from the East, great sailors and navigators, who conquered Australia before landing in their present location. Were claims the history of his people goes as far back as the 1300s, and that he has family members living in Australia to this day. Whatever critics, including me, may say, he staunchly sticks by what he writes in his book. I raise this issue of credibility with Were. “Basically, look at the Bible,” he replies. “So far, I have used my own information, as well as that from the Bible. “Because of the comparisons we have in language and prophecies, I’ve gone back to the scriptures to dig out certain messages from the prophets of the Old Testament, regarding people of God who are ‘remnant Hebrews’. “It (book) originates from the traditional stories of my father and grandfather, about the movement of our people across the sea to our present location. “…apart from being warriors, traders and sailors, we were also people who feared God. “According to the story, we were the original people from the beginning. “This was also true for the language we spoke. “The other biggest force that made me take this story very seriously was the arrival of the Bible translators from the Summer Institute of Linguistics. “Another thing prior to this was a stranger who came to my village, Kunini, went to Boze, and he was seen around the Bine tribe, Wipi and Kiwai tribes, and he was also in Daru. “Nobody actually knew who he was. “Even though he was locked up by police, he would come out. “After some time, he vanished and we never saw him again. “That’s when they started saying that he was an angel of God because we were ‘remnant Hebrews’. “After this guy left, SIL came in with their Bible translators. “After all these, I started to develop an interest in finding out if there was a language connection between my Bine language and the Hebrew language, people’s names and place names. “Being a child of a pastor, this was actually part and parcel of my life, because I always had a Bible with me. “I went to Aiyura (National High School, in 1984). “I had a dream in which I was told about the ‘remnant Hebrews’ of this nation. “I saw a bright light. “That’s when I knew there were Hebrews here. Were says he dug deep into encyclopaedias and the Bible to find similarities between the Bine and Hebrew languages. Along the way, he found that the Greek language also had similarities to the Bine language. “Having that in mind, we believe that even in our present state in terms of social and economic life, we have a treasure of wealth in our land. “It will be developed according to God’s timetable and plan. “Many of my tribe people do not know their exact origins, where we come from. “Only a few of them have records and evidence, in terms of passed-on stories, and some historical artefacts. Were says he has also met Israelites who have pointed out to him the similarities between Hebrew and Bine languages. Some of his writings in the book may seem far-fetched; however, the comparison between Hebrew and Bine words did get my attention. Were plans to write more books which probe further into the relationship between the Hebrew and Bine languages. Bine Mene: Connecting the Hebrews. By Samuel Were. Bright Star Morning Corporation. Port Moresby, 2006. 20 pages. K20. 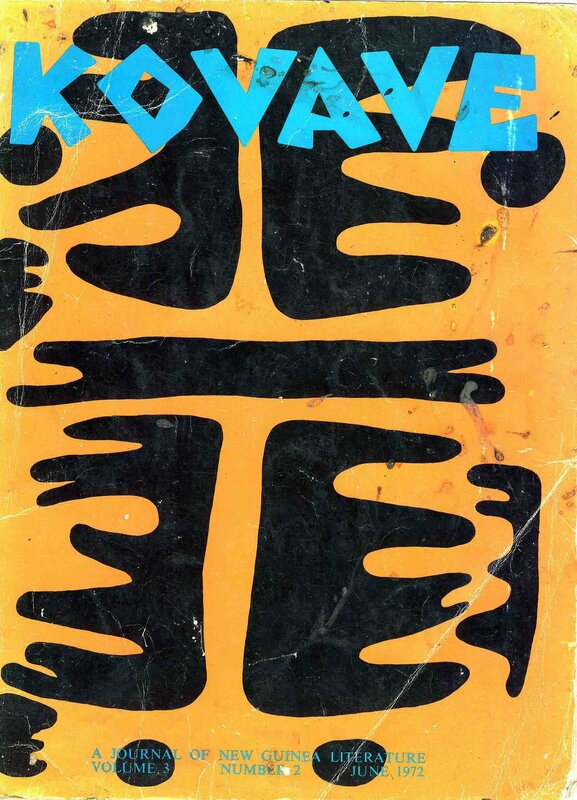 It is while doing my annual end-of-year clean-up over the Christmas/New Year (2006/2007) period that I find a couple of old Kovave magazines from the early 1970s buried under a mountain of paper, novels and assorted paraphernalia. 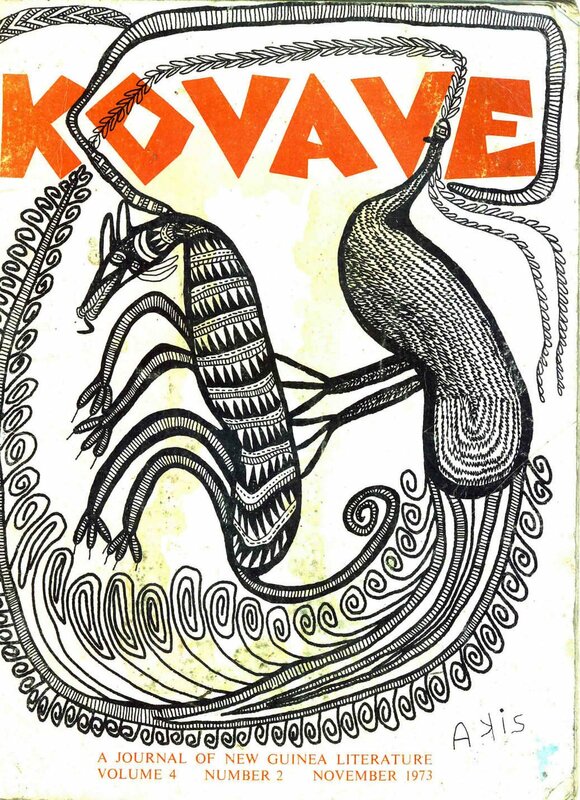 I flick through the old Kovave magazines, hand-me-downs from my late father, and the memories of another day come to mind. It is like being transported back to the halcyon days of Papua New Guinea literature in pre-1975. 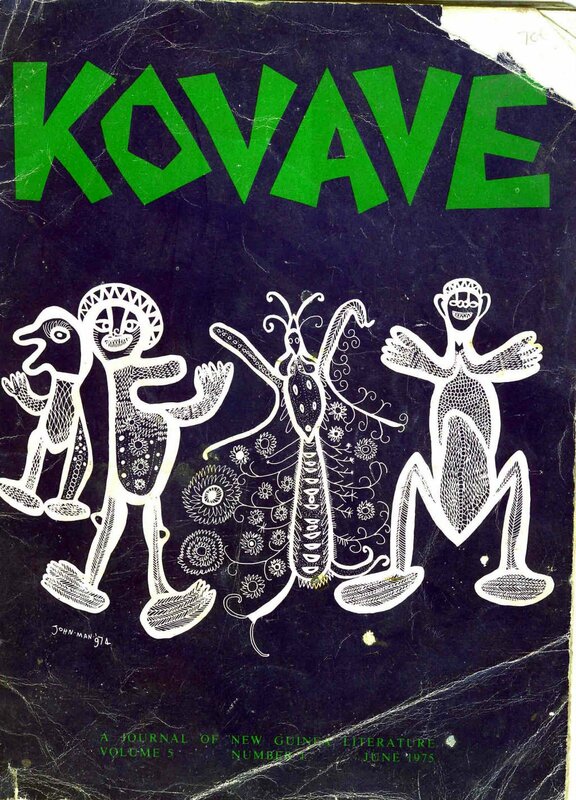 For those who came in late, Kovave was arguably the best-ever literary publication of the young University of PNG, featuring some of our greatest talent such Vincent Eri, Albert Maori Kiki, Kumulau Tawali, John Kasaipwalova, Leo Hannett, Rabbie Namaliu, Russell Soaba, John Kadiba, John Kaniku, and many others. 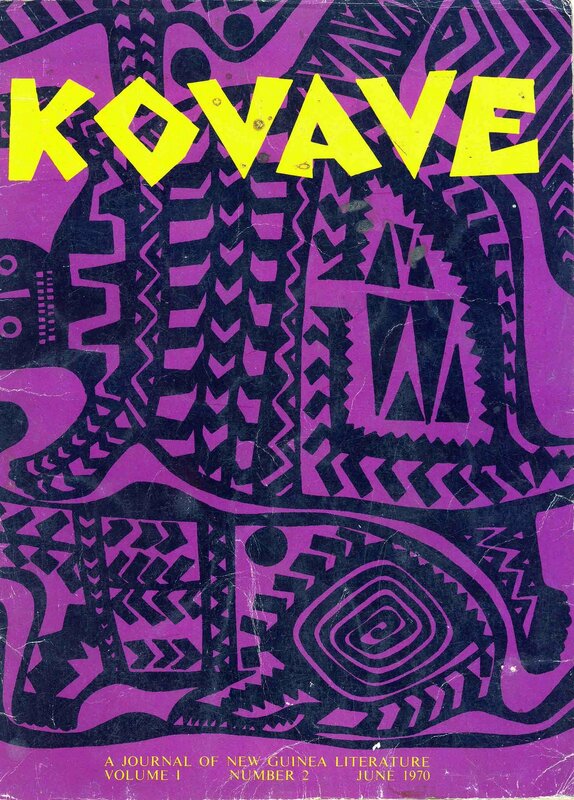 Apart from Kovave, their work was also featured on the National Broadcasting Commission’s popular not-to-be missed Sunday night dramas and other literary programmes. I lay on my mountain of paper and let my mind wander back to those days when such powerful writings so influence my young mind. My wife wakes me up from my reverie and I fast-forward back to the future just like I am in a time machine. Coincidentally, I happen to meet senior UPNG literature lecturer and established writer Dr Steven Winduo - who is a good friend of mine and part of the campus literary crowd in the 1980s – at the market that afternoon and we make it a point to meet some time. Dr Winduo now wears many hats including being director of the Melanesian and Pacific Studies (MAPS) Centre at UPNG, and chairman of the National Literature Board, to name a few. He believes that PNG literature is undergoing a renaissance after a literary lull between the ‘80s and ‘90s. “I can see that there is a wave of new voices of PNG literature since last year when we started the National Literature Board,” Dr Winduo says. “When it started we had more than 300 entries. “We had about six novels, a lot of short stories, poems and plays. “That indicates to me that people are writing. 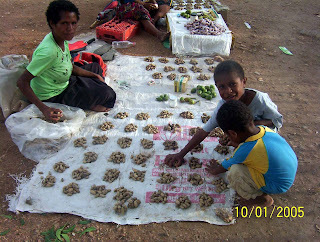 “But what they need is the support of the government as well as people in places such as UPNG to help them. “This is very important because over the years, between the ‘70s and ‘90s, there was a literary gap. “Commentators were saying that literature was dead in PNG, that the ‘80s and ‘90s was almost like ‘death’. “I came through from that generation of a literary lull. “People believed Papua New Guineans didn’t have the creative power anymore. “But 2000 and beyond, individual writers began to publish. “I think 2000 and onwards, we began to see new writers coming out. Dr Winduo’s MAPS Centre has a publishing programme in place; however, this has been limited because of funding constraints. This is something that he feels strongly about. Dr Winduo is also mindful that critical reading of quality works by Papua New Guineans is not done. “This concerns me as a scholar. 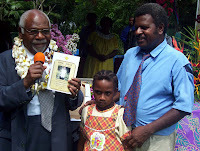 He also acknowledges the work of the Divine Word University in Madang in supporting literature. “Balanced with scholarly work, fiction and non-fiction, I believe the university should play a central role in fostering and in developing cultural consciousness in PNG,” he adds. “In some ways, my centre plays a major role and I’m very confident of seeing a lot more writing coming out. “UPNG still runs Savannah Flames literary journal. “It’s supposed to come out once a year. “This is one avenue for writers to submit their works for publication. “That’s the only journal that encourages creative writing. “That’s now supported by MAPS Centre. “Apart from that, I see the future as plentiful, but how do we cultivate it is the question? “If you think about it, writing is now powerful. Dr Winduo also feels that PNG writers are not given ample recognition, as well as financial endowment. “One of my views is that I really want to see the government recognise our writers. “Give them a medal or something. “Maybe have totem poles named after them. “Look at Russell Soaba, who was given a 30th anniversary independence medal. “It took the government so many years to recognise this writer. “Albert Maori Kiki, Vincent Eri and others are recognised all over the world but they are not recognised in their own country. “The other issue is that the government should look at creating an endowment fund for the arts, which is really a kind of funding mechanism to support all arts, including the literary art. “The endowment fund can be used to support publishing houses. “Without the endowment, it’s a bottleneck situation. “For example, we at MAPS, are working with very limited funding. Papua New Guinea literature took a giant step forward last May when the first-ever writers’ workshop was held at the Holiday Inn, Port Moresby, organised by the National Literature Board and the National Cultural Commission. More than 80 aspiring and established writers rubbed shoulders in a long-overdue event. Dr Winduo was away in New Zealand at that time, however, gave his full support to the event. “That (workshop) should have been in the ‘80s,” he says. “The feedback I got is that writing is there. “It’s the support that the government gives as well as UPNG that is needed. “I see the future of literature opening up. “This is a concerted effort by like-minded people and institutions who are saying ‘let’s work together’. “Literature goes into other activities and feeds its consciousness. Around Papua New Guinea and perhaps in other places around the World you have probably seen road signs with the symbol ‘Km’. And on some bags and packets of rice, and in some supermarkets you’ve probably seen a metric weight label ‘Kg’. Both of these symbols are inkorrect. A small k and not a capital letter must be used. In Britain you might see ‘Kgs’ on the side of vehicles belonging to a national security company; ‘Kgs’ is another symbol that is inkorrect. The symbol ‘kg’ does not have a plural form. In fact a leading American Dictionary (Merriam-Webster) accepts the word ‘inkorrect’ exists! One person who is keen to promote the correct metric symbols is Philip Bladon. He worked for many years in PNG as a Chemistry teacher and School administrator. Between 1982 and 2004 he taught at the following schools: Kaiapit/Markham Valley, Aiyura National High, Hoskins, and Cameron Secondary, Martyrs’ Memorial, and Ela Murray International. I’m an ex student of Aiyura in 1984 and 1985 and I can remember him. Mr Bladon, 53, is still keen to ensure that students and colleagues write ‘km’ and ‘kg’ (not ‘Km’ and ‘Kg’). He also points out to advanced Physics students that the correct symbol for ‘kelvin’ (the unit for thermodynamic temperature) is ‘K’ (not ‘K’); the wrong symbol appears in some science textbooks. Philip Bladon is now staying in England where he has written a book. This has recently been published, ‘A Dictionary of International Units’, is full of the official SI (metric) units. The ‘SI’ refers to the International System of Units (in French: ‘Le Système International d’Unités’), and designated SI in all languages. This book, not only provides an excellent reference source for science students throughout their careers, it’s also a fascinating book for trivia buffs and a delight for enthusiasts of the board game Scrabble. With a copy of this book you will soon enrich your vocabulary and discover unusual prefixes. Schools, colleges, and universities should get at least one copy for their libraries. An ebook version for IBM and Mac Computers is also available for individuals and institutions to buy. This dictionary will also help teachers to ensure that their students receive the correct guidance on how to write metric names, symbols and numerical values. For the non-scientists, like myself, a browse through this paperback can be extremely illuminating (unit: yottalux). For symbologists and symbolists they can ponder over character sizes for example: ‘Zs’, ‘zs’, ‘ZS’, and ‘zS’. For Historians they’ll discover the six nationalities of the 19 scientists whose surnames have been used for SI (metric) units. The first letter of these unit names is not capitalized. Compared to the large and expensive ISO (International Standards Organisation) documents on SI units available from Geneva, Philip Bladon’s Dictionary of International Units is excellent value and it’s fun. Those with computers and Internet access can buy online from all the major bookstores, for example www.amazon.com. It can also be ordered through most bookshops and in Australia the paperback costs approximately $18. The dictionary will make a good graduation prize for maths, and science students especially those doing Physics. Schools should order copies and allow plenty of time for them to arrive before the end of the year. If a bookseller or book distributor in PNG contacts the publisher there are large discounts for bulk purchases. Philip Bladon is a Fellow of the Institute of Science Technology, a life member of the Federation of Asian Chemical Societies, a member of the International Council of Associations for Science Education, and a member of Australian Mensa. Mr Bladon’s other interests include outdoor tropical gardening, snake scalation, and the work of the Red Cross Red Crescent movement. 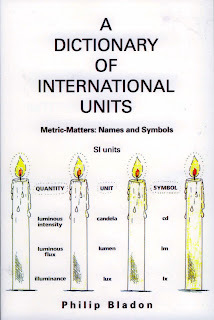 ‘A Dictionary of International Units Metric-Matters: Names and Symbols’ Published by www.iuniverse.com . ISBN: 13: 978-0-595 37115-0 (paperback) US $12.95 UK < £8, Australia $18 approx. ISBN: 13: 978-0-595 81515-9 (e-book) US $6.00. Available from online bookstores and can be ordered through leading bookshops. Many of those legendary Australian kiaps (patrol officers) who helped develop Papua New Guinea into what it is today were sadly not be around as the country celebrated 30 years of Independence. Such a man was Ian Downs, who died on Tuesday August 24, 2004, in the Gold Coast, aged 89, one of the greatest and most legendary men who walked this country. Downs is remembered as the principal facilitator of the contruction of the Highlands Highway – linking the Highlands, Lae and Madang - as well as being a powerful influence in the founding of PNG’s great coffee industry. He was also a member of the first House of Assembly in 1964, when he collected a record majority of over 100,000 votes – which goes to show the respect he commanded – to win the Seat of the New Guinea Highlands, a constituency in the Central Highlands region with a population of over half a million people. In the face of an increasingly nationalist style of politics he decided not to stand for re-election in 1968, and retired from parliament to take up private interests. “He’s the one who got the road (Highlands Highway) through,” pioneer Highlands explorer Mick Leahy once said of Downs. “He’s a man and a half this Downs. A man of intellect and a great strength of character, Downs was also a writer of note. A former patrol officer who rose to the position of Deputy Administrator in the mid-1950s, Downs was a prominent figure in PNG in the last years of the Australian trusteeship, and possibly the only person who combined the roles of administrator, politician, planter and historian. Ian Fairley Graham Downs was born in Edinburgh, Scotland, in 1915 and was educated at Brighton and Geelong Grammar Schools between 1926 and 1928. He entered the Royal Australian Naval College as a midshipman in 1915, and in 1935, joined the New Guinea administration as a cadet patrol officer. Downs took up his appointment to New Guinea in 1936 and was one of the first patrol officers assigned to the Western Highlands. He accompanied John Black and Jim Taylor on part of their famous Hagen-Sepik patrol in 1938-39. 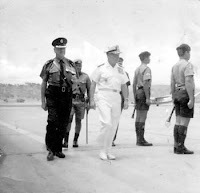 From 1942 to 1945, Downs was a Coastwatcher with the Royal Australian Navy in New Guinea waters. 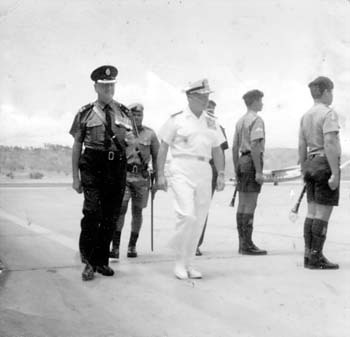 Downs returned to New Guinea after World War II and by 1951 was the youngest District Commissioner in the administration, based in Madang. Between 1952-56 he held the position of District Commissioner in Goroka, before resigning to take up coffee farming and to enter politics. Succeeding the late George Greathead as District Commissioner to the then Central Highlands, a huge “middle kingdom” of more than a million people stretching from Kassam in the East to the then Dutch New Guinea border in the West. 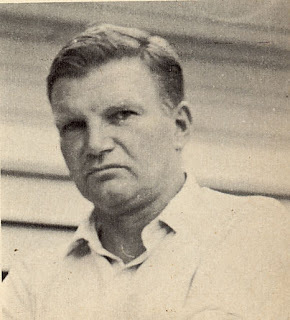 Disillusioned with official policy, Downs resigned from his post as District Commissioner in 1956 and in the following year gained election as Member for the New Guinea Mainland in the Legislative Council. As a parliamentarian he was further elected in 1961 to the Administrator's Advisory Council (later known as the Administrator's Executive Council), a board set up to advise the Administrator on policy issues. Downs resigned from the Government, where he had long been a member of the Legislative Council, to contest this country’s first national elections. Downs was elected to the first House of Assembly in 1964 with a record majority of over 100, 000 votes. For the next four years he held the Seat of the New Guinea Highlands, a constituency in the Central Highlands region with a population of over half a million people. He involved himself deeply in the infant coffee industry, being instrumental in the creating of the original Coffee Marketing Board in 1964, of the coffee exporting company Coffee International Ltd, of the Highlands Farmers & Settlers Association and its trading arm Farmset Ltd, and was active in many areas of PNG’s early political and social development. It was during these years that Downs pioneered what became known as Korfena Plantations, a group of coffee plantations centred in the Upper Asaro Valley, as well as one of the first village-based coffee marketing groups known as Upper Asaro Coffee Community Ltd.
His novel The Stolen Land was published in 1970, and he returned to Australian in 1970 after 35 years in the country. Guinea, 1945-75 was published in 1980, followed by his autobiography The Last Mountain in 1986. Ian Downs’ contribution to the founding of modern-day Papua New Guinea was immense, and thousands who knew him well have mourned his passing. From July 10-15, 2000, in the beginning of the new millennium, a novel development took place in Unu village, along the great Waria River of Morobe Province. Unu hosted the first writers’ workshop of the new millennium, attracting mostly villagers who started writing two years earlier when a conference on Zia language, culture and traditional knowledge systems was organised in Dona village. Workshop participants included husbands, wives and children, medical officers, village court magistrates, non-government organisation workers, teachers, village elders and youths. Their lowest educational standard was grade two and the eldest was about 64. They all wrote creatively their life stories, histories, biographies and the Zia culture during the week-long workshop, which was coordinated by Zia language speaker and University of Papua New Guinea lecturer Sakarepe Kamene, assisted by his colleague Dr Steven Winduo. The stories talk about Waria people and how their life style is fused into nature, and how it is nurtured in the rich alluvial plain of the Waria River. They talk about the river that in ordinary times remains tame and harmless, but in the wet season runs wild like a raging boar, causing destruction and misery to people and the surrounding areas. Some of these stories capture and exhibit the strong sense of moral lessons. Other stories show a much bigger picture of how nature is closely linked with society and its people. There are also stories that recount new and sometimes strange experiences when people relocate themselves into new places or situations. 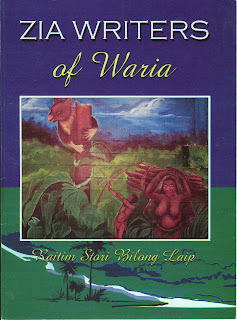 From the workshop has come an 80-page book titled Raitim Stori Bilong Laip (Writing Stories about Life): Zia Writers of Waria, which was first published in 2004 by UPNG’s Melanesian and Pacific Studies (MAPS) Centre, however, is a publication that very little people know about. In fact I had never seen or heard of the book until Dr Winduo recently gave me a copy as an example of recent MAPS publications. The collection of writings by the Waria writers is the first of its kind in Papua New Guinea and could serve as a benchmark for future projects in literacy and awareness throughout the country. “Even though it has taken a long time for this publication to come out, we hope the end product of this publication will benefit others who will read this book,” Mr Kamene and Dr Winduo wrote in the book’s preface. “It is a publication we feel confident will stand on its own. “The stories are written in the Zia language, Tokpisin and English. “The use of all languages in creativity is encouraged. “In editing this book for publication, we tried to make sure the way in which the writers expressed themselves was maintained, except for basic production issues. “Through the initial project, we knew we had moved on from basic literacy to literacy that involves people writing their stories and lives down on paper. “We wanted to make sure those who received literacy training used the skills acquired to transform their lives. “In the Zia writers’ workshop, this was accomplished. “The experience we had in running the Zia writers’ workshop and in the production of this book convince us that literacy programmes and awareness programmes must go beyond basic literacy skills. “Literacy skills and development of these skills must be encouraged. “Inclusion of literature and various techniques of reading and writing is a must in literacy and awareness programmes. The Zia experience greatly touched Dr Winduo, senior UPNG literature lecture, established writer, director of MAPS, and chairman of the National Literature Board. “In a week of enthusiasm and nerves to see that our objectives to facilitate the knowledge and skills already present in the participants’ lives accomplished our goals, we were excited that the workshop was a success,” he observed. “The participants had begun to write their stories. “Most of them felt that they had achieved what was impossible. “They can now write their lives down with confidence. “The Zia people can write their history, culture and lives in books without having to go to university to study literature or how to write books. “In my view, these students were the most-serious ones and were able to prove to me that writing is not only for those in schools or those studying literature at the university. “Writing was always with them! Dr Winduo feels that what has happened to the Zia people is also applicable to other villages in Papua New Guinea. “They village people, especially youths and women, need new kinds of training that involves skills and knowledge already present in their societies,” he says. “Indigenous forms of learning need to be encouraged. “Developing new ways of documenting cultural and traditional knowledge systems was the way forward. “This is one way to renew and revive the skills of reading and writing. Dr Winduo has strong words. “In a book fair in Port Moresby, a lot of views were expressed about the right to read and write, but many people consider writing as a process that empowers individuals and people. “Writing has the power to transform a nation’s consciousness!